Adult purple and black striped semi-opaque nylon stretch tights. One size fits adults up to 160 pounds. 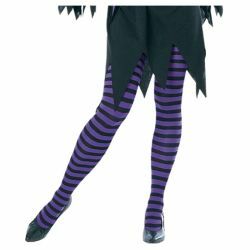 The perfect pair of tights for a colorful witch or a fun twist to an outfit.